1. Simplicity, no controller on site for WiFi. Set it and forget it. 2. Use existing building Cat5e wiring to deliver wired ethernet with POE for phones, desktops and printers, and let everything else be WiFi. 3. Keep costs as low as possible. The two suites that required WiFi were separated by another suite that was occupied by a different tennant, and did not require service. I anticipated needing two Access Points, one in each suite group, however, the one EAP225 served all areas with great service. The worst signal measured was a -71 in the far end of the building. Everywhere else was in the low 60’s or typically much better. The total distance from end to end was 90 feet. 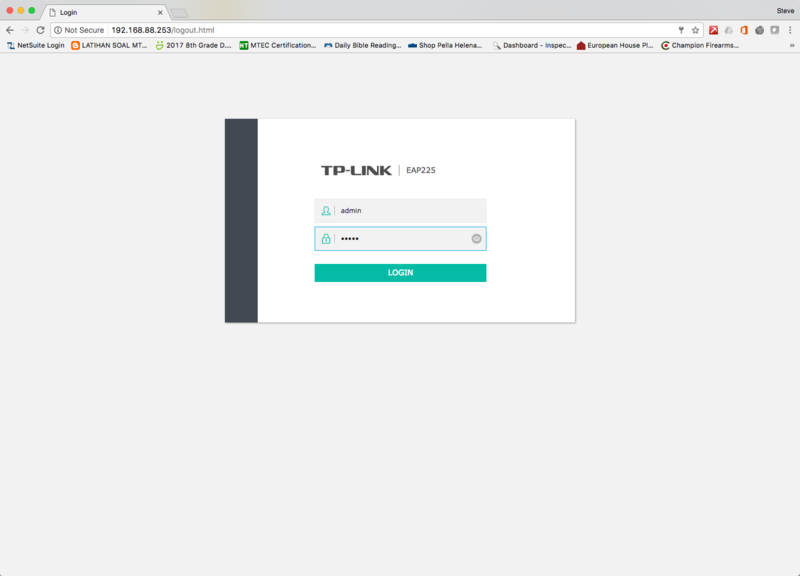 TP-Link EAP225 Access Point in standalone configuration mode, no controller. These AP’s can be clustered into enterprise class, controller managed networks, or act as stand alone devices, configured directly in their http GUI. I chose the latter. TP-Link JetStream T1600G-28PS POE Switch – These switches are awesome and work out of the box as POE switches, auto switched using 802.3 standard for POE and POE+. The CLI is just like Cisco IOS. 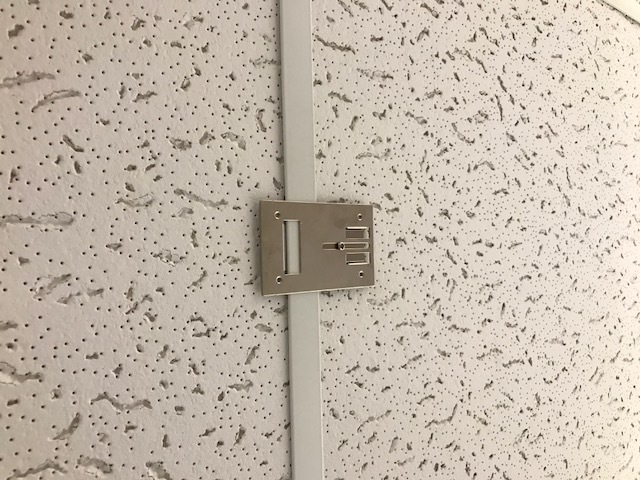 We used the supplied clips to clamp the bracket to the suspended ceiling. Total time to install the AP, less than 5 minutes. 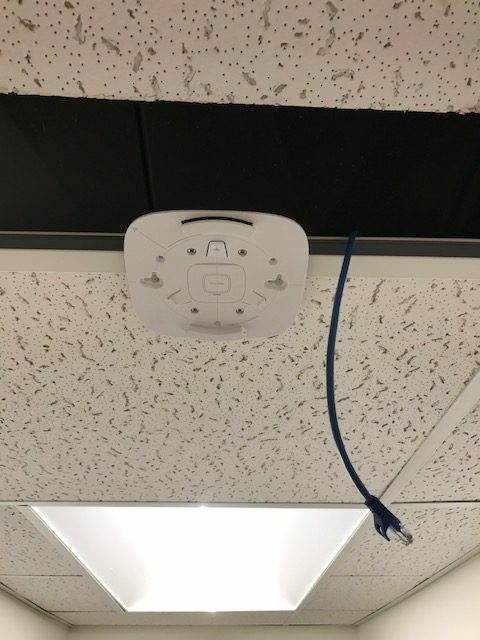 Next, I ran a premade Cat5e cable through the ceiling to the nearby IDF and attached the plastic plate. Next, plug in thecable and rotate the AP to lock into place. The switch already sensed the AP and is supplying POE power, no configuration required. Next, I logged into AP and configured the SSID and WPA2 key for 2.4 and 5 GHz bands. User and password is admin by default. 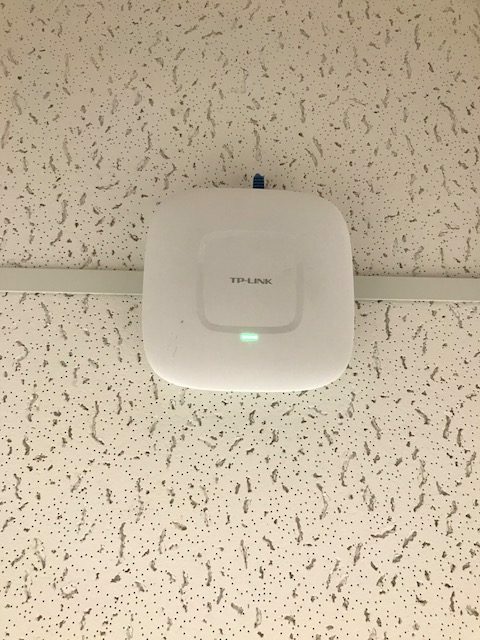 The total installation time for this network, that is, mounting and cabling the switch, mounting and cabling the AP, and configuring was less than 30 minutes. The diagram and identifying the jacks took the longest, about an hour. I highly recommend this product due to low cost and high performance. Installation time is also very minimal due to the simplicity with awesome performance. 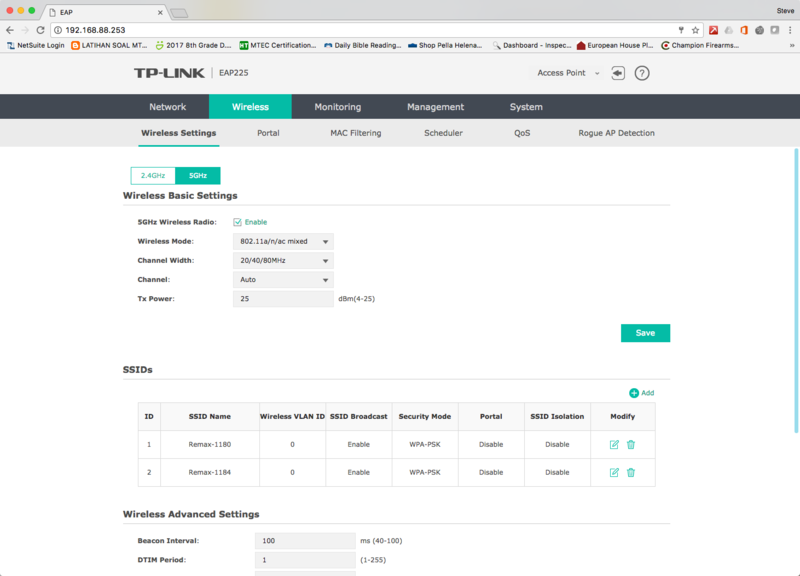 ISPS upplies is a Stocking TP-Link Distributor located in College Station, Texas.